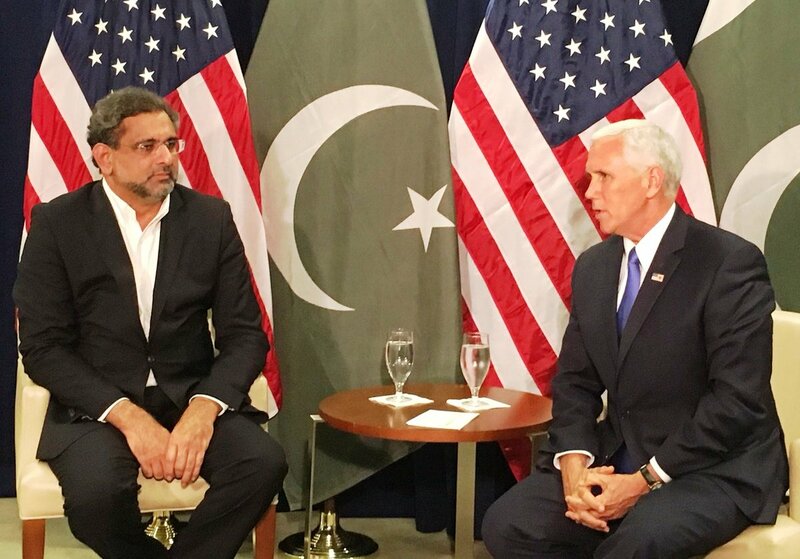 Recent waves of rhetoric against Pakistan by Afghan officials and US President Donald Trump have triggered a new downfall within already strained relations between United States (U.S.) and Pakistan. A one-sided picture is booming on media that Pakistan is providing sanctuaries to Afghan Taliban. Nobody is bothering that if US claims are valid then there will be definitely some solid reasons behind Pakistan’s policies. Pakistan’s concerns have been continuously put aside by U.S. in War on Terror (WoT). Since the eruption of this battle, Pakistan has suffered a lot and in fact, It has paid a huge economic and human cost for this drastic battle. From the early days of WoT, increasing involvement of Pakistan’s arch rival India in Afghanistan raised alarm for Pakistan. Albeit Indian presence in Afghanistan was meant for development projects but long history of rivalry between India and Pakistan, that dates back to their time of Independence from British colonial rule, could have predicted anything worst for Pakistan. Moreover, Indian perpetual unwillingness to implement resolutions of United Nations Security Council about the plebiscite in disputed Kashmir valley has always stoked the gravity of the situation. A surge in terrorist activities in Pakistan, particularly in Baluchistan province was crystal clear with growing influence of India in Afghanistan.Bellicose rhetoric from Afghan officials amid ongoing escalating tensions between US and Pakistan is adding fuel to fire also. Afghanistan’s current lot of rulers don’t accept internationally recognized border between Afghanistan and Pakistan i.e., ‘Durand Line’. They are eager to infiltrate Pakistan and seize almost a complete province of Pakistan i.e., Khyber Pakhtunkhwa. In this scenario, Pakistan’s tilt towards any regional proxy like Haqqani Network of Afghan Taliban could be a counterweight to Afghan government which is already acting openly as an Indian proxy, while US is turning a deaf ear towards concerns of Pakistan. Much of strain in US-Pakistan current row owes Mirror Imaging also. Mirror imaging was widely seen during cold war between Americans and Soviets, before. In this situation, U.S. approach of coercion needs to be replaced with Détente between Pakistan and Afghanistan, rather than calling India to elevate its role in current style. Serious rapprochement efforts are direly needed in this existing dilemma, in fact. US needs to pull the vanes of India and Afghanistan also regarding terrorism within Pakistan. A simple denial of allegations put forth by Pakistan would backfire similar denial of allegations put forth by Afghanistan and U.S.. A doctrine of cold war era “Peaceful Co-existence” needs to be encouraged between Afghanistan and Pakistan. US President Donald Trump should be realized that Pakistan can’t be forced to do more unilaterally against Afghan Taliban at it soil unless Afghan security forces also eradicate hideouts of Tehreek-i-Taliban Pakistan (TTP) at Afghan soil. US must make sure that Kabul would refrain from daydreaming of crossing the international border and capturing Pakistani area. Role of India in Afghanistan should be strictly kept limited to development projects only. Similarly, for lasting peace between nuclear armed India and Pakistan, implementation on UN Security Council Resolutions about the plebiscite in Kashmir valley should be done. Along with these steps, US and other great powers must force Pakistan to uproot militant groups from its soil. Such balanced and honest approach is the key to enduring peace in this volatile region.